On View on your Metro Card Using ActivatAR until February 20, 2013. 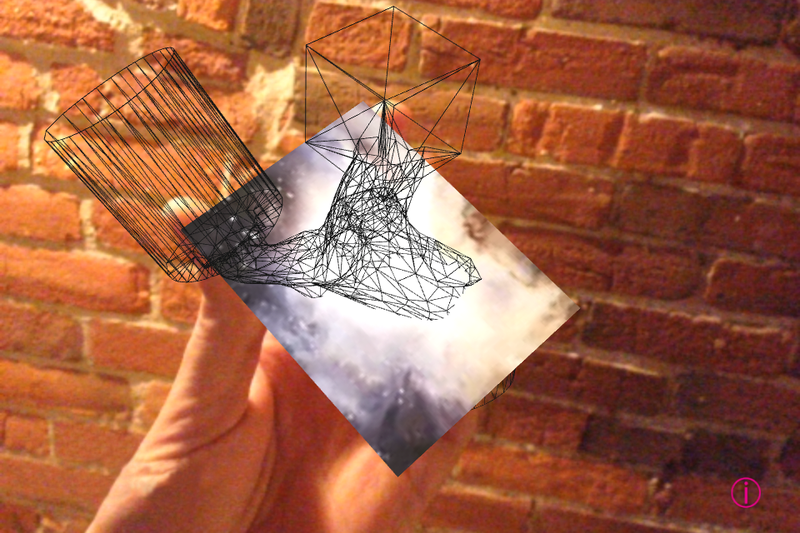 New Yup is an augmented reality sculpture from Michael Rees. 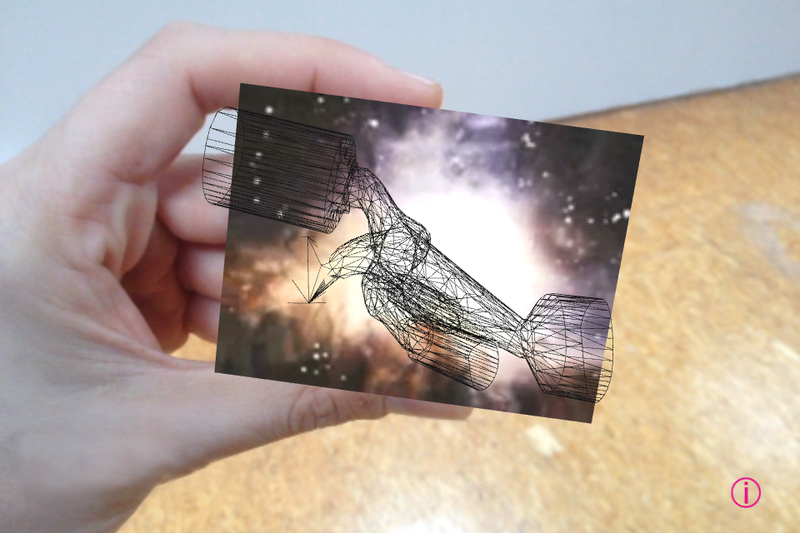 The sculpture has two components: an image zooming into the universe and a rotating wireframe sculpture that moves more slowly through and around the moving image both hovering above your Metrocard. The potential to carry the universe in your pocket living in a channel on top of the Metrocard affords the viewer an alternative to the repressive here-ness of the New York Subway system. This project may offer a tear in the fabric of one experience of object, site, and definition towards another potential development, a media object. By reframing this object in augmented reality it is repurposed, freed from its physical context to become something else entirely. It is not only a virtual experience but one that may “provide room for an impossible space for that in me which (is) as yet only potential”. (Antonin Artaud) As your perception struggles to make sense of AR and its relationship to the image you struggle to synthesize your vision. This struggle allows for a gap in the seamless constructed visual world around us, a glitch were you wonder what you’re seeing and how. This unsureness opens up a potential to read noise in unexpected ways with multiple narratives. ActivatAR http://www.activatar.org will be using image recognition to host monthly shows on top of the New York City Metrocard. The Metrocard will be activated with 3D sculptural works, videos, audio projects, and interactive installations. ActivatAR was created by Christopher Manzione the founder of the Virtual Public Art Project. ActivatAR uses Augmented Reality Image Recognition to host monthly shows on top of the New York City Metrocard and other ubiquitous public accessible imagery.&nbsp;For our inaugural show ActivatAR is turning the NYC Metrocard into a gallery in your palm by hosting an interactive 3D sculptural work by artist Michael Rees. Augmented reality is a view of the physical real-world environment merged with virtual computer-generated imagery in real-time. ActivatAR merges the real-world physical environment of public spaces around the world with site-specific virtual sculptures, video, audio projects, and interactive installations that can only be viewed in-the-round using a smartphone.